Back to previous page | Home Food glorious food! This week sees not only the start of National Doughnut week on 10 May, but also National Sandwich week on 12 and, if that’s not enough, it’s Eat What You Want day on 11! 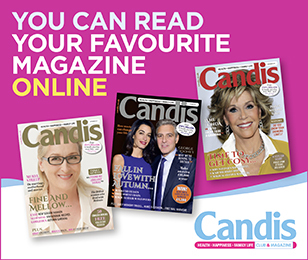 To celebrate we asked the Candis team, if you could eat what you wanted all day, what would you choose? Debbie Attewell, Editor – One of my dad’s Malaysian curry feasts with their selection of monkfish, chicken and prawn dishes to sample – so tasty! Anita Comerford, Deputy Editor – Vermicelli with a spicy tomato and roast vegetable sauce – I could eat buckets of the stuff! Helen Etheridge, Features Editor – Twice cooked chips with a Roquefort dip. So naughty, so nice! Alison Moffat, Deputy Art Editor – Veggie Thai green papaya salad and fresh coconut water – yum! Tracey Pocock, Picture Editor – Pancakes with lemon and sugar. I used to make whole batches as a teenager before my mum got home from work! Libby Heeley, Junior Sub Editor – Japanese food, every type! Robyn Barr, Digital Communications Assistant – Domino’s pizza, Mighty Meaty! And here are some interesting facts about sandwiches and doughnuts to boot! The Alzheimer’s Society suggests six things you can start doing now. Some parts of fruit and vegetables contain huge health benefits. All these spices readily available and they all have so many uses.